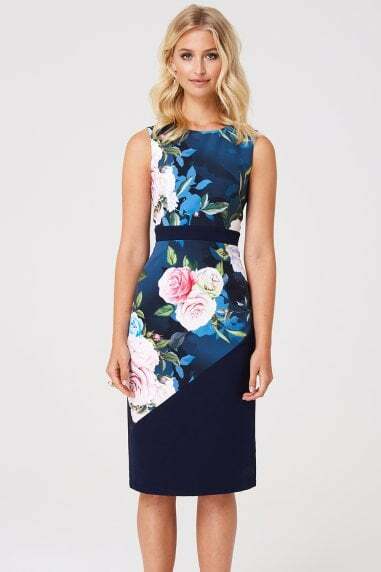 Block colour pencil dress with asymmetric pleat front detail and belted waist. Sleeveless bodice, round neckline and split back hem. Zip fastening.